Aaj mai Aapko batane wala hu ki android mobile phone ko computer / laptop ka Microphone Kaise Banaye.Agar aap computer ya laptop ka use karte hai,to Aapko pata hi hoga ki laptop me pahle SE hi Microphone diya rahta hai,lekin computer PC me Microphone nahi rahta hai,So agar aap apne computer me Microphone ka use karna chahte hai,to aap apne mobile phone ko computer ka mic bana sakte hai. Agar aap computer ka use karte hai aur aap apne computer me Microphone ka use karna chahte hai,to aaj hum Aapko ek aisa tips Dene jisse aap apne mobile phone ko apne computer ka Microphone bana sakte hai.Ya agar aap laptop ka use karte hai aur aapke laptop ka mic khrab ho gaya hai,to aap mere is post ko read karke apne laptop me bhi apne Android phone ko Microphone ki tarah istemal kar sakte hai.Bahut se computer user aise hai Jo mic buy karke istemal karte hai Android phone rahte hue bhi Isliye mai UN sabhi logo ko ab ye kahna chahta hu ki aap Microphone but Na Kare q ki jab aapke paas pahle SE Android Jaise smartphone hai,to Microphone buy karne ki jarurat nahi hai.Isliye mai Aapko ek aisi jankari Dene ja raha hu jiski help se aap apne mobile phone ko computer ya laptop ka Microphone bana sakte hai.Agar aap apne computer or laptop SE baat karna chahte hai,to aap apne Android device ko Microphone banakar baat kar sakte hai.Ya agar aap kuchh record karna chahte hai apne computer par to aap apne phone ko Microphone banakar apne computer SE Bina mic ke record kar sakte hai. Agar aap apne smartphone ko computer Microphone banana chahte hai,to sabse pahle aap niche diye Gaye 3 software ko download Kare. 1. Wo Mic PC Version. 2. Wo Mic Mobile Version. Mobile Phone Ko Computer Ka Microphone Kaise Banaye ? Mobile phone ko computer microphone Kaise Banaye hai.Agar aap Janna chahte hai to aap hamari kuchh step ko follow karke pata kar sakte hai ki kisi bhi phone ko computer Microphone Kaise Banate hai. 1. Sabse pahle upar ke 3 software ko download karne ke baad aap mobile wala mobile me and PC wala PC me install kar de. 2. Phir aap mobile wale aap ko open Kare and settings par click Kare aur Transport par click Kare. 3. 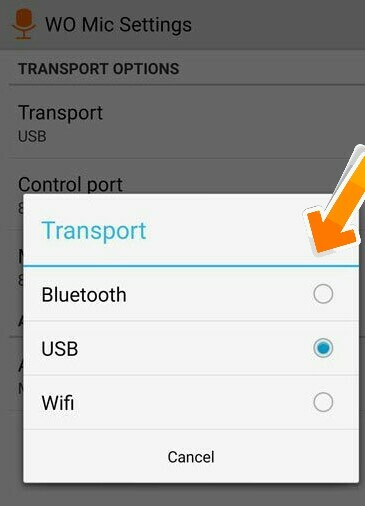 Phir aap USB ko select Kare laptop user wifi bhi select kar sakte hai,USB select karne ke baad apne mobile ko USB ke through computer SE connect Kare. 4. Phir aap apne mobile app ke home page par jakar start par click Kare IP address show hone par copy kar le nahi ho to koi problem nahi hai. 5. Phir aap apne mobile ki settings ko open Kare aur about phone par click Kare phir build number par 5-10 bar click Kare. 6. Phir aap wapas waha jakar dekhe aur developer options par click Kare phir usb debugging ko tick kar de. 7. Phir aap computer ke wo mic software ko open Kare aur connection>>connect>> USB>> OK agar IP address show hua tha to IP address dalne ke baad OK par click Kare. 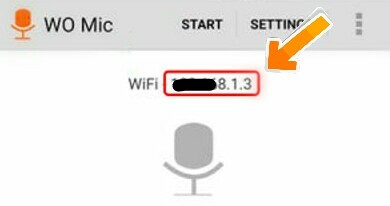 Agar aap apne laptop se Android phone ko Microphone banana chahte hai,to aap wifi ke madad SE apne laptop ko phone SE connect karke Microphone bana sakte hai. 1. Sabse pahle aap apne phone me wo mic app ko open Kare aur settings par click Kare and transport par click Kare aur wifi select Kare aur apne phone ka wifi on kar de. Note - Aap apne mobile and laptop ko same network SE wifi connect karke rakhe. 2. Phir app ke main menu par jaye aur start par click Kare aur IP copy kar le ya kahi likh le. 3. Phir aap apne computer ke wo mic software ko open Kare and connection>> connect>>select wifi>> paste IP address>> OK par click Kare. 1. Sabse pahle aap mobile wo mic app open Kare aur phir settings par click Kare aur phir transport par click Kare and Bluetooth oar click Kare. 2. 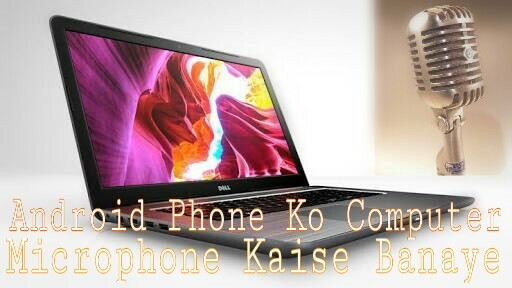 Phir aap apne mobile or laptop ke Bluetooth ko open Kare and dono ko ek dusre SE connect Kare aur phir wo mic mobile app ke home page par start par click Kare. 3. Phir aap PC ke wo mic app ko open Kare and connection >connect>Bluetooth>OK par click Kare. To dosto aap isme SE kisi bhi method ka use karke apne phone SE Computer Ko connect karke Microphone ki tarah use kar sakte hai.Agar aap laptop use karte hai,to wifi and Bluetooth ke help SE phone ko Microphone bana sakte hai. If you like my post please comment here.Any problem,Ask me and share this post.